For the nail art below I applied one coat of Zoya "Naked Base" as my base coat, followed by two coats of Bow Polish "Ritual." 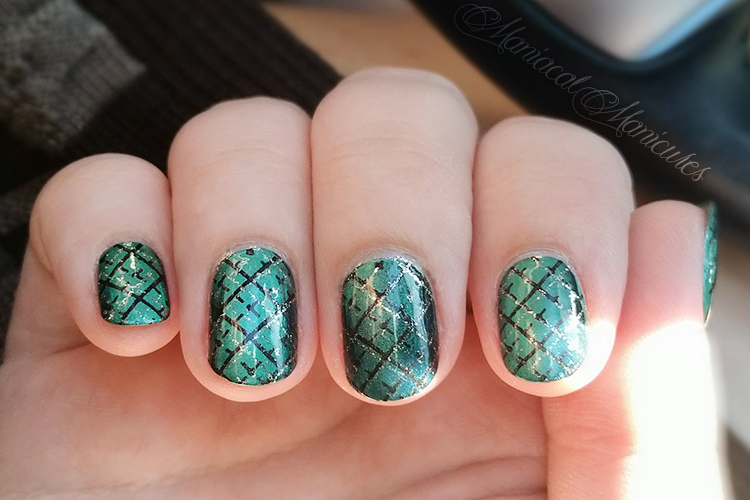 I used my Bow Polish "Cat Eye Magnet," but struggled a bit because I have wide, deep, and very curved nail beds in addition to some length, thus there was difficulty getting consistent effect. I had to redo a couple nails by applying a third coat of "Ritual" and doing the magnet process again. A longer magnet would have helped, but for those with short and/or narrow nails should have little issue. I used the same magnet with two other Bow Polishes on two friends and had no issue for this very reason. The polish itself applies beautifully and smoothly, the formula not too thick or too thin, and is easy to manipulate. 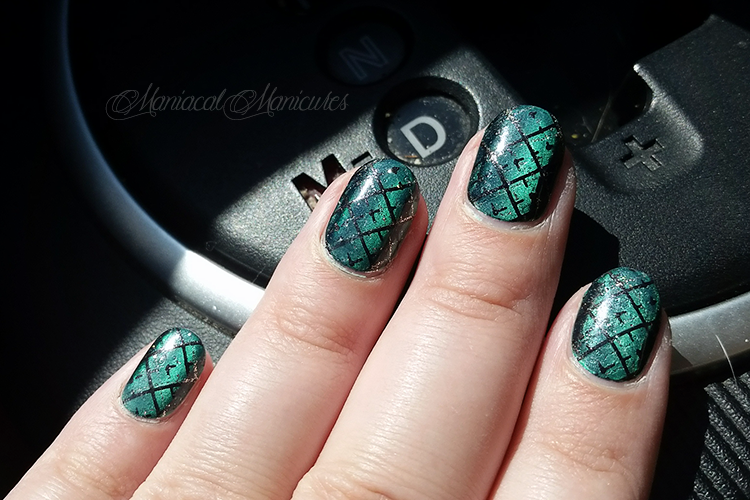 When dry, I applied a double stamp of MoYou London stamping plate "Festive 26" using KBShimmer "Eclipse" and KBShimmer "Diamond" with my new favorite stamper from Whats Up Nails, the "Jumbo Clear Jelly Stamper & Scraper (Transparent with Cap)." You can see my review of it here. I applied my favorite SuperChic Lacquer "Liquid Marvel Topcoat" but did not intensify the effect following topcoat, leaving it as is. Bow Polish by Dance Legend can be found on Facebook, Instagram, YouTube, and their Website, as well as many international stocklists. KBShimmer can be found on Facebook, Twitter, Instagram, Pinterest, and their Website. MoYou London can be found on Facebook, Twitter, Instagram, Pinterest, YouTube, and their Website, as well as many international stocklists. 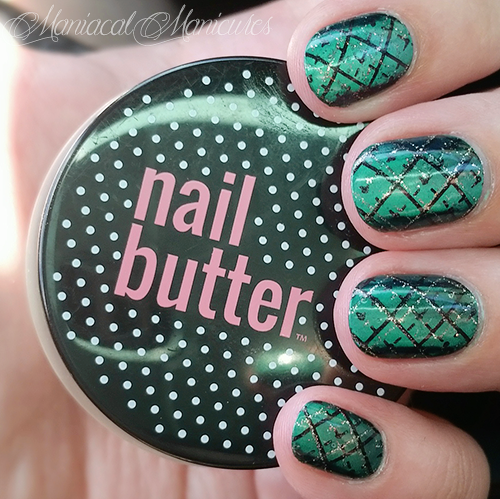 Nail Butter can be found on Facebook, Twitter, Instagram, and their Website.